Ministry of Justice: Modernising the courts. The Ministry told us that it has made substantial changes to its internal governance and processes around investment since 2014. The aim was to improve the Ministry's ability to drive investment "from the top down" based on a coherent strategy, prioritisation, and asset management. These changes included creating two new governance committees in 2014 to support the Ministry's senior management in its governance role. 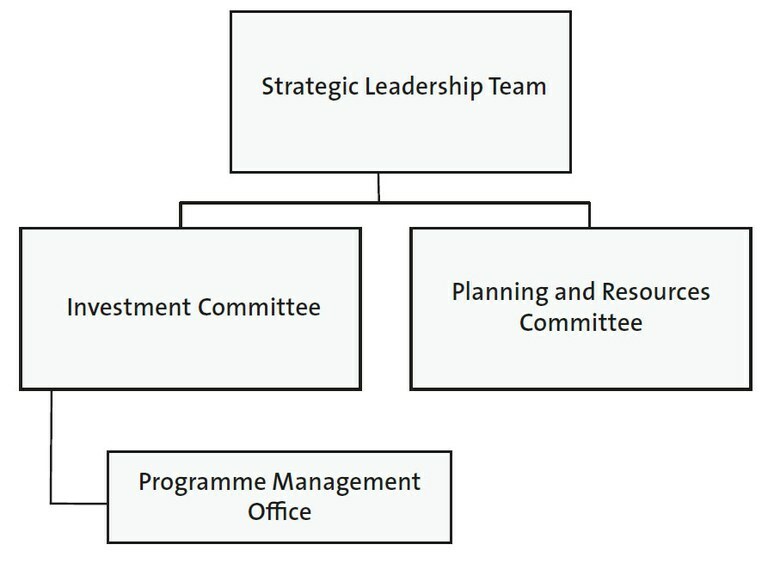 Figure 5 shows the new governance arrangement that established the Investment Committee, which is responsible for overseeing new investment projects, and the Planning and Resources Committee, which is responsible for overseeing the Ministry's strategic and business planning processes. The Programme Management Office was shifted to provide support to the Investment Committee. The Ministry also wanted to put in place stronger budget controls and centralise funding by having the Investment Committee allocate and oversee funding for programmes and projects. The Ministry told us that they established two sub-portfolios to focus on project delivery in 2015/16. The aim is to encourage the Investment Committee to focus more on strategic issues such as longer-term investment planning and achievement of improvements. In our annual audit in 2016/17, we said that it was pleasing to note that the Ministry's governance structures continue to strengthen and improve. During the same period, the Ministry also made changes to its project management practices. For example, we were told that the Programme Management Office implemented an Investment Delivery Framework in 2015. This framework provides checkpoints for the different stages a project goes through. The Ministry considers that this represents a significant improvement in its project and programme management methodology. In 2017, the Ministry reshaped its Operations and Service Delivery group. To support the Ministry to achieve the intended changes, the Programme Management Office was moved into Strategy Development. However, to ensure that good project management practice is applied to projects, it is important that the Ministry makes sure that project managers have access to the Programme Management Office. This includes developing capability for members of staff by providing the advice and support they need. an Internal Audit Review of Investment Delivery in 2016/17. Both reviews concluded that the Ministry has made some gains in recent years. The Investor Confidence Rating assessment concluded that, in "the delivery of initiatives aligned with the strategic direction of the organisation",10 the Ministry was performing relatively well. The Investor Confidence Rating for the Ministry is a B. However, both assessments noted that the Ministry needed to improve its portfolio management in such areas as risk management and stakeholder management. The Ministry told us that it plans to improve its portfolio management and the support available to senior decision-makers to make decisions through the application of enterprise portfolio management disciplines. An enterprise portfolio management approach is about selecting the right investments to achieve the organisations' strategic objectives. Having selected a portfolio of investments, portfolio management focuses on whether programmes and projects are being delivered in the right way and making sure that the intended improvements are realised. Before the end of 2017, senior managers expect to be presented with options that will further align the Ministry's governance with the principles of portfolio management. For AVL, the Ministry has established an internal Audio Visual Services governance group to help the Ministry improve the delivery of existing remote audio-visual services and to change the way these services are delivered in Auckland and Christchurch. In our view, it is important that the Ministry makes sure that its changes to governance and project management practices ensure adequate levels of accountability and governance over projects. The Ministry needs to have good oversight of emerging issues when changing processes or putting in place new processes to know how successfully they are embedded. Information about emerging issues needs to be collected over time. It should be easy for people to provide feedback about their experiences. To help the Ministry maintain good oversight of emerging issues and enhance courts services, it needs to improve its current processes for collecting and analysing feedback. Processes were put in place for organisations to give feedback on the three projects. These processes had some effectiveness. For applications to dispute a fine and civil claims, prosecuting agencies had a single point of contact to give feedback – the relevant Central Registry operating manager. We were told that having a good one-to-one relationship with an operating manager made it easy to communicate when small issues arose in the system and have them addressed. For example, one prosecuting agency told us that, when minor issues with the system arise, it contacts the Central Registry operating manager to solve the issue. For AVL, the Ministry gathers feedback from justice sector organisations, lawyers, and judges. For example, we were told that District Courts in Auckland, Manukau, North Shore, Hawkes Bay, and Dunedin held meetings for people and organisations working in the justice sector. The purpose of these meetings was to get feedback from people on their experiences working with courts. People attending these meetings could include local police officers, representatives from the law society, representatives from Corrections, and, in some instances, local judges. We were told that people at these meetings discussed their experience of, and concerns with, using AVL. It was not clear how effective these meetings were in addressing these concerns. Although one-to-one working relationships and local feedback can be appropriate for addressing individual and local issues, they do not provide the Ministry with good oversight of systemic issues that the three projects created by changing processes. We were told that the Ministry was about to introduce a way for people to give feedback for part of the work done by the Central Registry. This will allow the Ministry to collate all of the feedback and complaints information it receives for applications to dispute a fine in one place and to identify emerging issues. This is a positive development. The Ministry needs to have formal mechanisms to collect, collate, analyse, and report on feedback from organisations and people affected by changes to court services. This will give the Ministry good oversight of emerging issues and the main challenges to optimising the achievement of improvements from projects. The Ministry then needs to use this information to identify systemic improvements and feed into continuous improvement processes. We recommend that the Ministry of Justice ensure that it has effective processes to collect, collate, analyse, and report on feedback from people and organisations that are affected by changes to court services resulting from projects. As discussed in Part 3, the Ministry's lack of an effective framework for tracking and measuring improvements achieved through projects has meant that it does not have good information on what improvements have been made or challenges to further improvements. The Ministry needs to establish performance measurement and reporting frameworks so that it can determine the extent to which projects have made intended improvements. The Ministry can use this information to inform discussions about how to increase the effectiveness of intended improvements and to provide certainty to all affected people and organisations about the extent to which intended improvements have been made. We recommend that the Ministry of Justice prepare a performance measurement and reporting framework, including a timetable, to track whether the intended improvements from its investments in projects to improve court services are being achieved. The Ministry has acknowledged the need for improvement and told us about progress made to improve benefits realisation. The Ministry is implementing a new mechanism for tracking intended benefits. In addition, the Ministry is working towards making sure that cross-sector projects have benefit owners assigned and that benefits are reported through individual organisations' benefit-reporting frameworks. 10: Axelos Ltd (2015), Introduction to P3M3 .